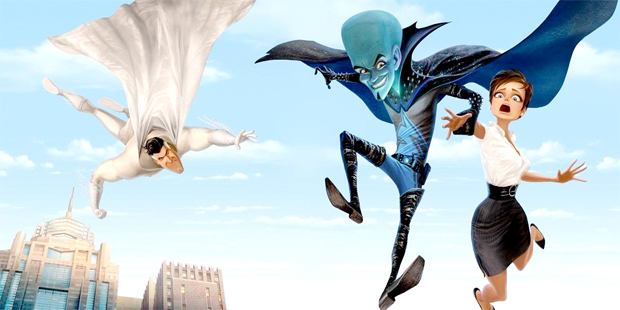 DreamWorks Animation’s $150 million blockbuster Megamind hits theaters this November, helmed by Brad Pitt, Will Ferrell, and Tina Fey. But the true stars of this film aren’t necessarily the names in big letters. Has celebrity talent become secondary? DreamWorks Animation’s $150 million blockbuster Megamind hits theaters this November, helmed by some big names: Brad Pitt, Will Ferrell, and Tina Fey. But the true stars of this film aren’t necessarily the names in big letters. Many moviegoers flock to theaters for the special effects, dazzling animations and 3-D experience. Has celebrity talent become secondary? We asked DreamWorks’ co-president of production John Batter (in a follow-up to our last interview), who told us how 3-D animation is affecting production and casting. Fast Company: With 3-D animation, how can you ever know when a shot is done? You now must not only agonize over every pixel, but whether a shot is 3-D enough. How do you keep production moving? John Batter: The good news and the bad news about being 100% digital is that it’s infinitely changeable. So the good news is that you can always make it better. And the bad news is that you can try to make it better forever. We built our approval process release dates, and how much we need to get done by a certain time frame. We prioritize the the work that we think is strong, both creatively and visually. We keep lists of things that we should come back to–ABC priorities–and try to keep moving forward. At the end, we go back and fix the Cs. With technology improving, have production times become longer or shorter? We made a decision a few years ago to lengthen our production cycles to give more time on the creative at the front end. The best thing we can do for our shareholders is to make great movies. Technology in general has improved, and we’ve really invested our time in trying to make more compelling stories and characters, rather than decreasing our time to market. Working in 3-D, has DreamWorks developed a process for using that extra dimension? I assume you don’t want to overwhelm the audience with 3-D effects. 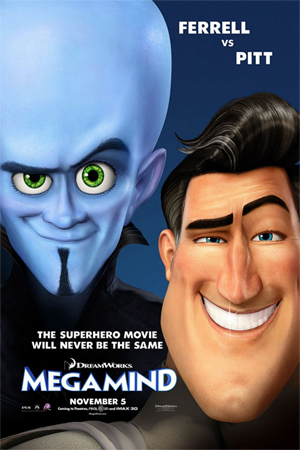 Megamind is our fourth 3-D movie. We’re in production on our fifth and sixth now. What we’ve learned as a studio is how to move 3-D from a visual effect to a story telling mechanism, just as we’ve done with color and camera motion. If we want to convey a sense of anxiety, we would’ve used reds in the past, and blues for calm. Just as those are tools in an art or production designer’s toolkit, 3-D is becoming another one of those tools, to enhance the storytelling process. It seems we now go see movies for the techniques: the awesome special effects or 3-D graphics. Has casting celebrity actors become a secondary draw? I don’t think so. It’s always been about great stories and characters. To the extent that we use it, voice talent from celebrities has really always been in the service of upgrading the characters in the stories, and that really hasn’t changed. In DreamWorks’ upcoming films, big names such as Brad Pitt and Angelina Jolie have been cast. Are they still the stars of the film? Are they becoming a marketing expense? If you look at How To Train Your Dragon, it had a lesser-known cast, which was appropriate for that film. It’s really about finding the right talent for the right character. The right talent can really help bring a character to life in a unique way for our animators, and ultimately for our audience Clearly, it can help the positioning and marketing of a movie, and bring attention to it. But that’s not the primary motivation.